As you go, proclaim this message: ‘The kingdom of heaven has come near.’ Heal the sick, raise the dead, cleanse those who have leprosy,drive out demons. Freely you have received; freely give. Jesus did not stay in one city or town. He was born in Bethlehem. Then He moved to Nazareth in Galilee. But when his ministry kicked off Capernaum actually became his headquarter. In Galilee he frequent Cana, Bethsaida, Chorazin, Gennesarat, Mount of Transfiguration, Nain, Sea of Galilee. Besides Galilee, he went to Decapolis, Perea, Samaria, Judea, the Mount of Olives and the Temple in Jerusalem. I don’t think God has ever intended for Evangel Tabernacle to just stay at Iloilo City. Yes we need a headquarter; like Jesus had in Capernaum. But God intended us to go to others towns and even to other cities and other country. This quarter we will go to Cambodia and then all the DJCG will go to towns or cities on all parts of Panay. What are we to do when we go to all these places? To teach and to preach. The word teach and preach were used here. To teach is to impart knowledge and to give instruction. As a true disciple of Jesus Christ, we are to inform, enlighten, and even to discipline. To preach is to proclaim or make known by sermon. It is to deliver a sermon. It is to advocate or inculcate religious truth, moral truth and right conduct. This is Jesus’ main mission, to communicate the Gospel, not even to heal the sick. I will explain later the purpose of healing and casting out of demons. We have entered into the 3rd quarter of the year 2017 where the emphasis is Essential Commission. Our main mission in Cambodia is to teach and preach. It is to communicate the Gospel. I look at the churches of Today. We have become inward looking. We talked about nothing but God’s love. We took care of the body soul and spirit by being trained for inner healing. Then we give you steps to prosperity. What does the church exist for? We see the answer in the example of our Lord, who began His earthly ministry by preaching—“From that time Jesus began to preach, saying, ‘Repent, for the kingdom of heaven is at hand’” and concluded it by sending out His apostles to preach and continue His work. Before He leaves planet earth he commanded ‘Go therefore and make disciples of all nations, teaching them to observe all that I have commanded you. And behold, I am with you always, to the end of the age” I felt that when we launched to go into Cambodia, God is pleased. I remember this year in February; we were losing a major support to feed the community. Then when we went to Cambodia to survey the place, the support was restored. Also when we were in Cambodia, doors were opened. We met two group of people; a couple from Singapore who were missionaries in Phnom Penh and a single lady from Malaysia who was a missionary to Kampong Speu, a place one hour from Phnom Penh. They were friendly and they provided opportunities for us to do ministry. 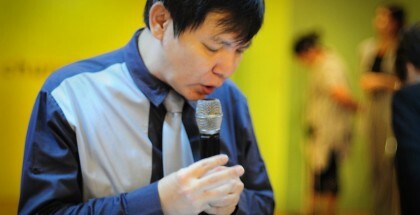 Pastor Peter Chng gave us his love offering as a start up for our Cambodian Missions. Last week we ask for 50,000 pesos for community works in Cambodia and you pledge over 60K. Then we have a couple here ready to stay long term in Cambodia and another lady willing to stay longer in Phnom Penh to give us the good report like Joshua and Caleb. When we obey the Great Commission to go into the world to preach the Gospel, Jesus will back us up. How about local missions. I remember last year many DJCG went to many church to fulfill the Essential Commission. Logically my DJCG should be able to give the most to the church that we went to in Janiuay. But we were pleasantly surprised that some DJCG gave more to the pastor of a church than us and even out give us in community blessings. Again God blessed us when we are involved in Essential Commission. The most fundamental of a true church is the pure preaching of the gospel. Apart from the gospel preached, there is no church. Many churches in the world misunderstood God’s overall plan, and also misunderstood what the Church is to do? What is the church overall mission? “Go into all the world and preach the gospel to all creation” (Mark 16:15, NASB). “Go therefore and make disciples of all the nations … teaching them to observe all things that I have commanded you; and lo, I am with you always, even to the end of the age” (Matthew 28:19-20). The last message before a person leaves this world is always the most important. My country’s leadership is in a kind of crisis now. In 2015 before our founding father, Lee Kuan Yew passed away, he say in no uncertain term that he wants his house to be demolished so that the later generation will not make it into a place to worship him. He doesn’t want to be worshipped. But the 3 children of Lee Kuan Yew were at war with one another over the house of Lee Kuan Yew; it was 2 against 1. And the 1 is the present Prime Minister. He doesn’t want the house to be demolished. He wants to make it a monument so that the legacy of Lee will continue to flourish and his political position will be strengthened. But the other two were very empathic. They said that time and again Lee Kuan Yew before his passing away, in his book, in his speech, in the email, he wanted it demolish. That is the last message and it is the most important and it has to be honored. The last message of Lee Kuan Yew was demolish the house. That is the last message Jesus gave to the church. Jesus Christ gave His Church—this body of spiritually transformed believers—a responsibility to carry out. 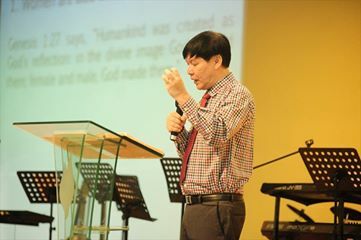 I can never forget my ministry with Pastor Lily in Evangel Singapore. The church was running around 200 to 300 people. But immediately after service, after we had lunch we were sent out to food court, plazas, and malls to preach the Gospel to total strangers. Initially we only had around 18 people. Pastor Lily and I were the leaders. We will go to the malls, go to the parks, approach total strangers, and just vigorously shared the Gospel. Then team grew and the church grew. All were young people. They were in their high schools and colleges and universities and even young working adults. We ate together at the food court; we had fellowship and had so much fun. But when it comes to sharing, we went two by two, focused and intentional. The team grew until 200 people and then we were sent to the Philippines. The church also grew. There was so much life and excitement. It was an exciting time in Evangel. I pray that the youth church will have a day where you sent 72 people; 36 teams to be exact and just go to the community and shared the Gospel for one Saturday evening or Sunday afternoon. I pray that one day the Cell group will have a program that after you have your cell group, under the leadership of Pastor Carlos, after Sunday Service, select 72 people and just go out and share the Gospel. The church existed for the Great Commission. That is how new churches were started and how foreign mission and foreign churches were built. We were sharing with our cell group as we were preparing to go to Cambodia about how the Gospel was propagated to the whole world. We share about how William Carey from England became the first modern world missionary. He is known today as the father of Modern Missions. He was a clobber and the Baptist Missions were unwilling to send him. But he went anyway to India. His wife who lived in such lovely, scenic, modern England struggled to go with him to India, because it is a dilapidated, smelly, hot, dirty country. She was so traumatized that she became mad in India. And she died in India. William Carey paid a great price. But he translated the Hindu classic the Ramayana into English. And he translated the bible into Bengali, Oriya, Assemese, Arabic Marathi, Hindi and Sanskrit. When you want to talk about Missions, William Carey’s name will be mentioned. Then we have Adoniram Judson, the first American Missionary to step into foreign missions. He went to Burma and stayed in Burma for 40 years. It was said that he was such an educated, clean proper, straight cut person, even his clothes; were always needy pressed. When he reached Burma, there was no Europeans or Americans he can be in contact with, especially in the first few years. He tried adapting to Burmese customs by wearing a yellow robe to mark himself as a teacher of religion which the monks in Thailand and Vietnam and Cambodian do. Then he changed his robe to white to show that he is not a Buddhist. Then, he gave up the whole attempt as artificial and decided that, regardless of his dress, no Burmese would identify him as anything but a foreigner. His first convert was a Buddhist monk after 9 years in Burma. His wife in Burma died of sicknesses. When Judson began his mission in Burma, he set a goal of translating the Bible and founding a church of 100 members before his death. By the time of his death, he had accomplished those goals and more: leaving the translated Bible as well as a half-completed Burmese-English dictionary, 100 churches, and over 8,000 believers. In large part due to his influence, Myanmar has the third largest number of Baptists worldwide, behind the United States and India. The majority of adherents are Karen and Kachin. How about people like David Livingstone to Africa. Hudson Taylor to China. What did all these people have in common? They went to teach and preach the Gospel. 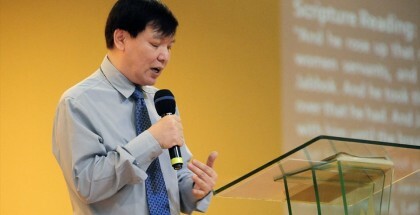 Do you know how Pastor Lily and I became Missionaries? We went to attend a mission’s conference. I was 23 and she was 21. The speaker was Charles Greenaway. He was a missionary to Africa for 40 years. It was said that when his only son was sick and they were rushing him to the hospital. They were along the dirty, sandy road of Africa. And the general superintendent of the Assembly of God in Africa would not stop his car to pick them up. The son died. They don’t have another child. They only have each other for support. His wife became senile. But he loves his wife. They were close. When he wife finally died, he cried and cried until he too died a few days later. 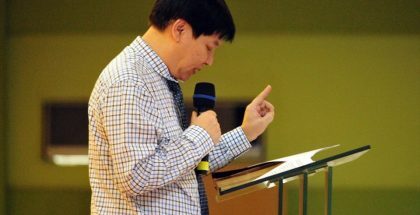 In 1985, that day when he preached in Singapore about his missions in Africa, when he was caught up with Africa and spoke in the African language fluently, I just cried and cried from the beginning of the service until the end of the Gospel. The same thing happened to Pastor Lily. We received that our call that night. The next year we came to the Philippines. I can never forget his advice. Never allow the things you don’t understand cause you to go to hell. I can say that there are things in my life that I simply don’t understand. I believed he went through a lot. When Jesus was going about teaching and preaching, John the Baptist was put in prison and doubts began to crip into John the Baptist’s mind. John was discouraged because he was in prison. John felt Jesus was not acting in the expected manner. John expected Jesus’ message to be one of judgment from the Messiah but instead Jesus offered salvation to all; grace. But Jesus told John the Baptist’s disciples his actions are proof that He is the One. Matthew 10:8 says, ‘Heal the sick, raise the dead, cleanse those who have leprosy,drive out demons. Freely you have received; freely give.’ The actions (healing and deliverance listed Matthew 10:8 authenticate Jesus, the 12 disciples and the 72 who were sent out. These actions show the arrival of the kingdom of God. Our main mission is to communicate the Gospel, not to heal. Healing is meant to confirm and validate the Gospel, not to become the focus of our ministry. Healing was a way to show God’s love, show Jesus’ power and fulfill OT Prophecy. Did it happen? It happened to Jesus. It happened to the 12 Disciples. It happened to the 72 that were sent. Luke 10:17 says, ‘the seventy-two returned with joy and said, ‘Lord even the demons submit to us in your name.’ The demons refer to the unclean spirit or evil spirit even those that were possessed. People inhabited by unclean spirit are unclean. I believe when you go out to preach and teach, just heal the sick when there is a sick around you. Just cast out the demons when someone manifested. The Spirit of the Lord upon us. Still some of you ask? Pastor, why when we went from house to house in the community, we couldn’t heal the sick and cast out demons? The answer is the anointing. The answer is you have to have the spirit of God upon you. The word power implies that the Spirit of God is upon his twelve disciplines. It is so clear in Isaiah 61:1 ‘The Spirit of the Lord is upon me; he has anointed me to preach the Gospel. And all the signs and wonder are mentioned from Isaiah 61:2 onwards. When the Spirit of the Lord is upon you, you have the power, authority and right. You are qualified and authorized over against demons and unclean spirit. Even your words are anointed. Matthew 10:20 says, ‘For it is not ye that speak, but the Spirit of your Father which speaketh in you.’ Jesus promises that the Holy Spirit will give you the appropriate word to speak. Ask for the Spirit of God to be upon you. Because when the Spirit of God is upon you, when you speak, you speak by divine appointment or you are divinely inspired to speak. Then you are anointed; you are set apart for the work of God as king, priest and prophet. The spirit of God is meant, the third person in the Trinity; so called Holy Spirit, to distinguish him from all other spirits; and who is given to man, without measure, whereby he was qualified for his great work: with all his gifts and graces, and abode on you, as a Spirit of wisdom and of understanding, of counsel and of might, of knowledge, and of the fear of the Lord; which was by his power; visibly descended on you at the spirit baptism; and it denotes the permanency and continuance of him with him. Ask for the Spirit of the Lord to come upon you. Becky Dvorak, a healing minister in Guatemala shared this. I intercede in the Holy Spirit almost every night on the flat rooftop of our house in Guatemala. Last night, I had a mighty encounter with Him. He came to me twice in an amazing power of light that was so bright, full of fire, almost blinding. I had to close my eyes and bow my head. (This was not a demonic force. I was worshipping Jesus on my knees, praying in the Holy Spirit, declaring His faithfulness to His Word, and inviting Him to come in His fullness.) The first time it came from a distance right to me. It was so powerful it unnerved me at first. The second time it was right on the rooftop near me and came right upon me. I share this because we have entered into a new season of God’s power and as we walk through these last days we must encounter the power of His fullness. 1. Read, study and live His Word. “This Book of the Law must not depart from your mouth. Meditate on it day and night so that you may act carefully according to all that is written in it. For then you will make your way successful, and you will be wise” (Josh. 1:8). 2. Worship the Lord in Spirit and in truth. “God is Spirit, and those who worship Him must worship Him in spirit and truth” (John 4:24). I shared last Sunday about Rabbi Judah Ben Samuel who says, ‘‘The prophet Elijah who will precede the Messiah, appeared to me and revealed many things to me and emphasized that the preconditions for answered prayer is that it is fueled by enthusiasm and joy for the greatness and holiness of God. Worship the Lord. Be enthusiastic and be filled with joy for the greatness and holiness of God. Then your prayer for the Spirit of the Lord will be answered. 3. Pray in tongues. “For he who speaks in an unknown tongue does not speak to men, but to God. For no one understands him, although in the spirit, he speaks mysteries” (1 Cor. 14:2). 4. Declare the Word of God over ourselves as we pray. “For the word of God is alive, and active, and sharper than any two-edged sword, piercing even to the division of soul and spirit, of joints and marrow, and able to judge the thoughts and intents of the heart” (Heb. 4:12). 5. Invite and wait for Him to come to us in His fullness. “When the day of Pentecost had come, they were all together in one place. Suddenly a sound like a mighty rushing wind came from heaven, and it filled the whole house where they were sitting. There appeared to them tongues as of fire, being distributed and resting on each of them, and they were all filled with the Holy Spirit and began to speak in other tongues, as the Spirit enabled them to speak” (Acts 2:1-4). Yet I have loved Jacob, but Esau I have hated.